Phew, it’s been quite a week. I’ve helped pack up the old office in Broadacre House, held our Gosforth, and Tynemouth Market sling meets, launched a Just Giving fundraiser, sorted out the lease for the new office, all while running my own business, Grow Up Green. All of this, with an upper respitory infection. I have to say, it’s been pretty full on. Why work nearly full-time for free to run a sling library. Well, I’ll tell you a secret, it’s not about the slings. 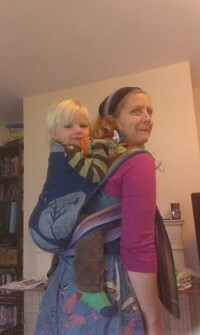 I don’t do this because I think pushchairs should be banned and the whole world should embrace the world of babywearing. I do it for the look of relief on a parent’s face when they realise that with a little bit of help, they’ve got it, they can do this, it will all be alright. I do it for the parents who have found their village amongst the other parents that hang out at sling meet, that offer to volunteer, that can be that supportive parent that has ‘been there’. This is the reason that when we incorporated in 2015, we changed our name from “Slings North of the Tyne Library” to Parenting North East. We had a vision then of being more than “just a sling library”. We want to help parents be the kind of parents they want to be. And so, when we heard that our building was closing for redevelopment and we needed a new space, we dreamed big. We’ve found a new venue where we can offer more than just a sling library. We’ve applied for funding so we can offer more in the way of classes, workshops, drop in sessions and support. The planning, fundraising and organising of this move is exhausting, but it’s worth every moment, so that we can help more parents steer the way through the minefield of modern parenting with a friendly face, a cup of tea and… maybe a sling or two…. 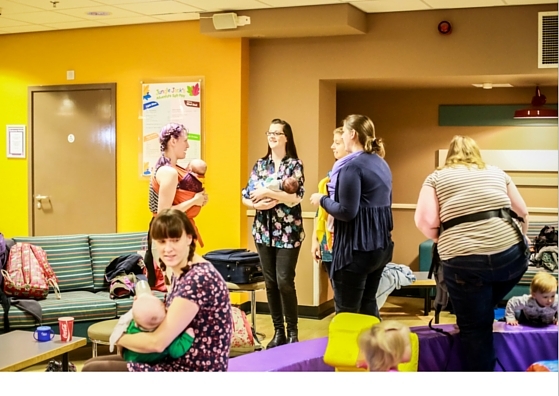 Aggie Maxwell is one of the Directors of Parenting North East, owner of Grow Up Green (cloth nappy library, and all round eco parenting retailer) and mother of three little people.